It is liberating to do sales conversations while being honest and true to your customer and to yourself. Yesterday and today I had four (4!) face to face conversations that could previously have qualified as a sales talk. Besides that I did about eight phone calls with people that are either already a paying customer or are actively seeking to become one. But this time it all felt different. 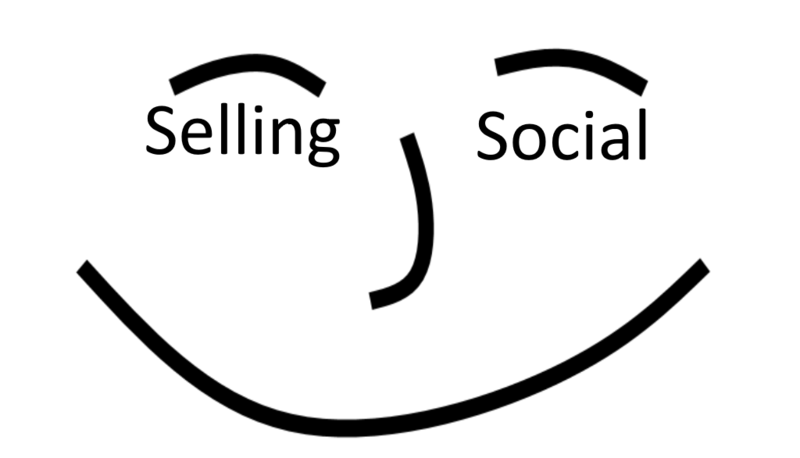 Before I go on to tell what has changed I would like to note that I have been ‘social selling’ all this time without labeling it as such. And of the contacts I have had this week two have recently been made as a result of my LinkedIn, Twitter and Facebook activity and the activity of all those people in my network that have liked, shared and commented on my posts. If you are reading this and know that you have been one of them: thank you, I am very grateful for your participation, please do it again. 🙂 The best part is that one of the people who contacted us as a result of our on-line actions is not even on those social media himself. I say us, since contact is being made with my business, not with myself. I am not yet sure if that is what I want, but at least there is contact. The conversations I have had over the last two days have been different. After reading the first two chapters of the Social Selling book I have realized that I don’t need to convince our potential customer that my advice is as good as I can give. And what is even more, I don’t have to convince myself that the advice is good. Writing those blogs, and while doing that reviewing the activity of my business over the last 15 and a bit years, have made me realize we actually have enough experience and knowledge to give advice that is worth something. Our customers have been telling us that over and over in the past five years or so, but somehow I have been reluctant to accept that as the truth. Perhaps that is sign of a false sense of humility, perhaps it is the typical Dutch culture to be careful not to come across as arrogant, in any case it has been suppressing my pride in what we do. I am sure that putting it this way will make quite a number of Dutch people think “indeed, that is an arrogant statement”. To those who feel this way I would like to say: “please take this piece as intended for a multinational audience and not just the Dutch market.” I would have written this in Dutch if that would have been the case. I recommend “How to be orange” by Greg Shapiro for a deeper dive in Dutch culture as seen from a non-Dutch perspective. Those talks of the last few days have been more open, I was able to listen better and I had a feeling there was more communication than before. Not only because I feel more reassured in that we can do what our customer needs, but also because that makes it easier to explain what we cannot do and why not. There is a lot of hard work to do, and after such a long day of work it takes a bit of self convincing to take the time to write this blog. But social selling, it just feels so good. It is more fun than I imagined it would be. Let’s hope it will get even better. Let’s hope it will get even better.